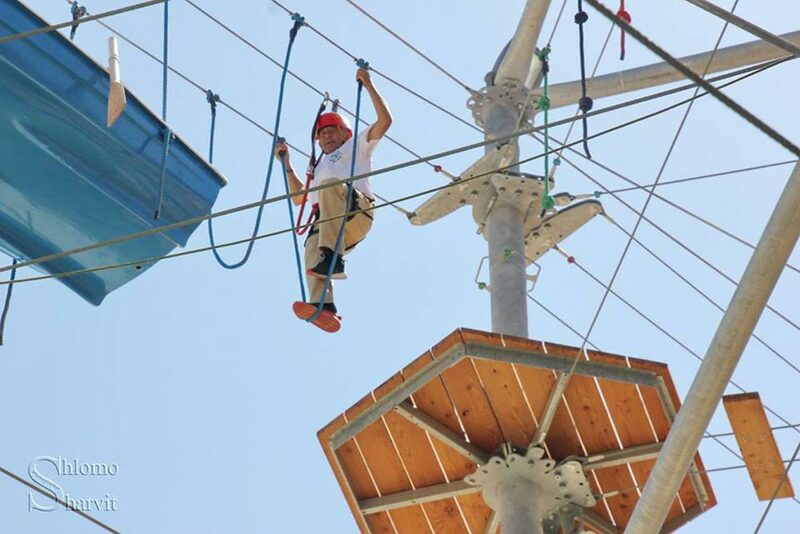 The Iclimb Monfort Extreme Park is located at the Western part of the Monfort Lake tourist resort, which is co-operated by Maale Yosef district council anf Maalot-Tarshicha city council. 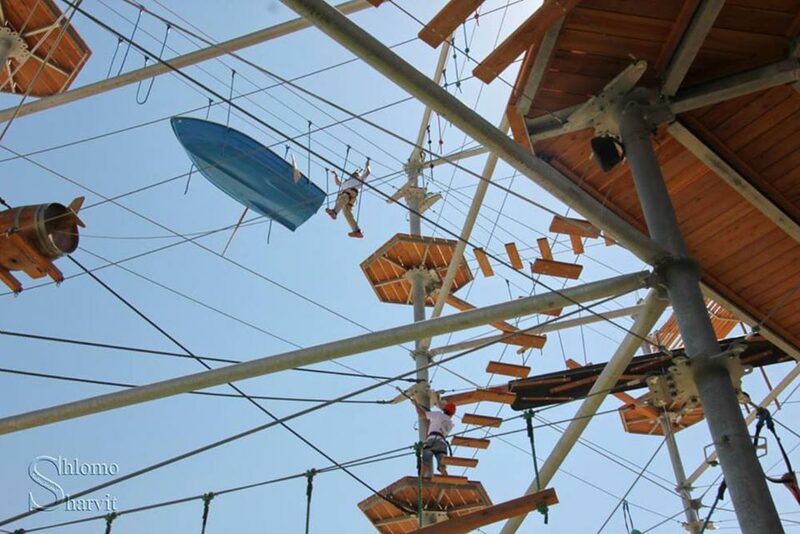 The Extreme Park is constructed of 4 floors of hanging structures, stretched over of 4 square kilometrs. 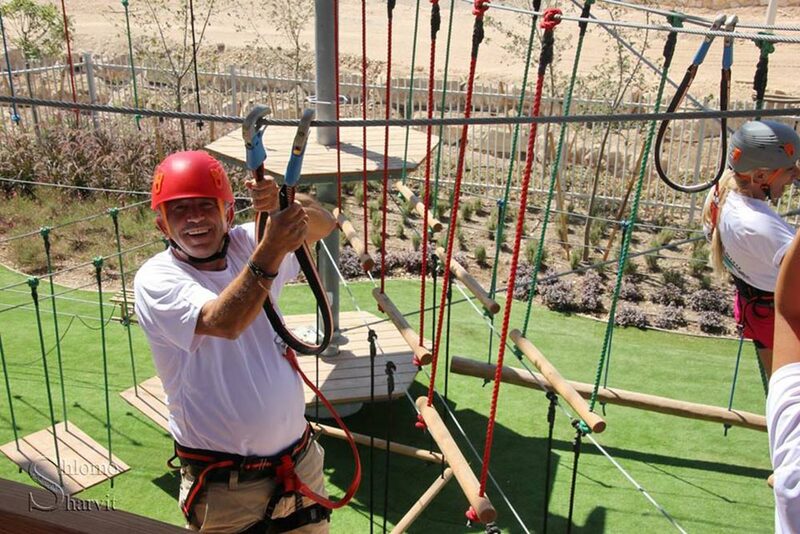 The extreme activity in the park is carried out with strict security measures for the safety of the users. This is achieved by the use of a smart security system that does not enable detachment from the security cables outside of the safety zone and the authorization of our specially trained guides. 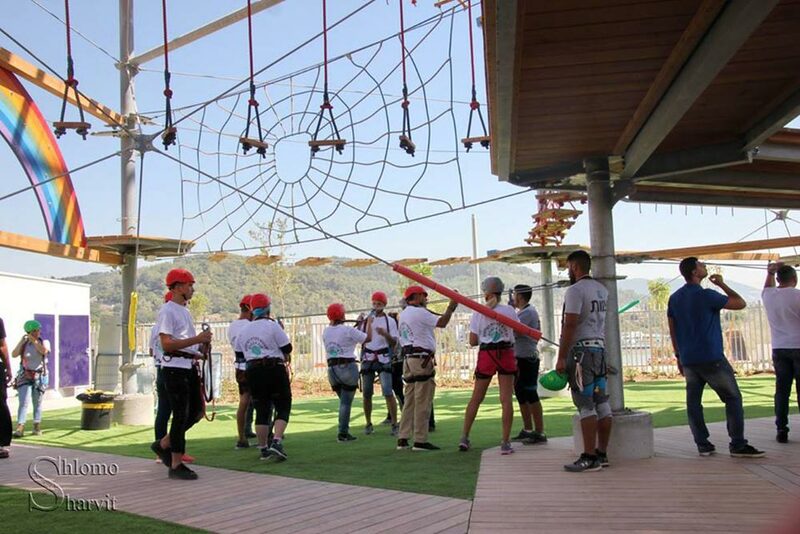 The Iclimb Monfort Extreme Park is the most advanced extreme park of its kind in Israel, and consists of about 100 different activity elements at various levels of challenge and difficulty, which enable the users to choose their own path of progression in the park. The base floor is specially designed for young children aged 4-6 years old, aiming at supporting them in their experience of going on a challenge-journey at a level which is appropriate to their own physical and motor development. The route is designed so that it creates a mutual experience of parents and kids along the full route. 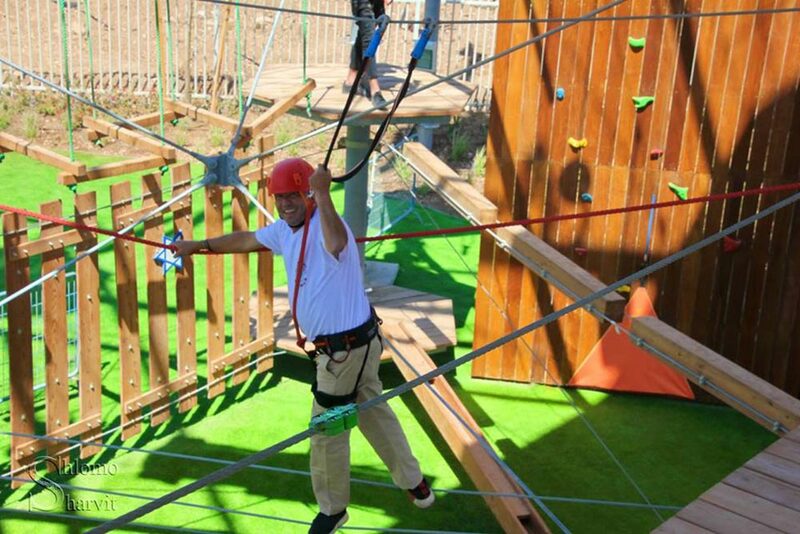 The climbing wall in the park is specially constructed to enable both young and old can enjoy it regardless of age and size. 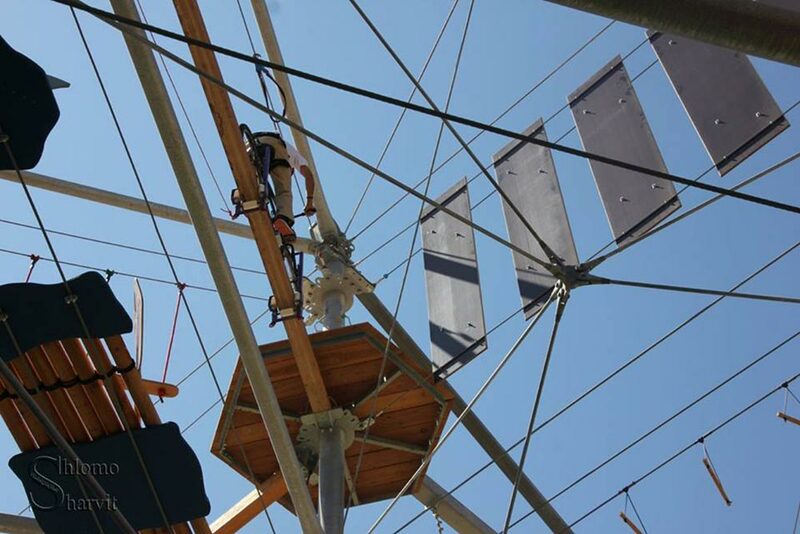 The climbers are secured along the full height of the wall with a specially designed cable that controls the falling action and does not enable full fall of the wall. The Courage Jump- the child climbs onto a platform which is 12 meters high of which he jumps onto a special mattress on the floor. 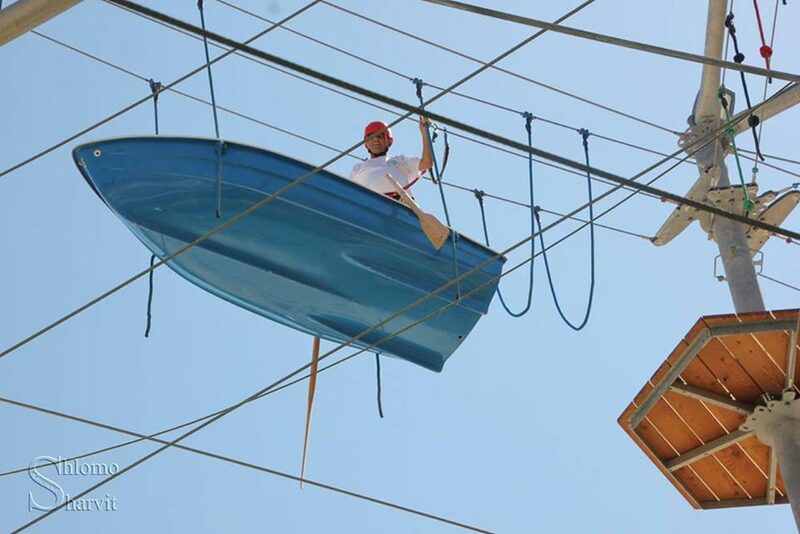 And don't you worry- the well secured cable controls his fall so that he lands slowly and softly. The Fear Swing – a swing for two- kids or adults up to 80 kg, which swings up to 7 meters high. And is released by the swingers. The surprise of the swingers while releasing the swing and the rapid and sudden change of height is accompanied by surprise and happiness shouting. The swing is a big attraction, and is frequently and repeatedly visited by all. 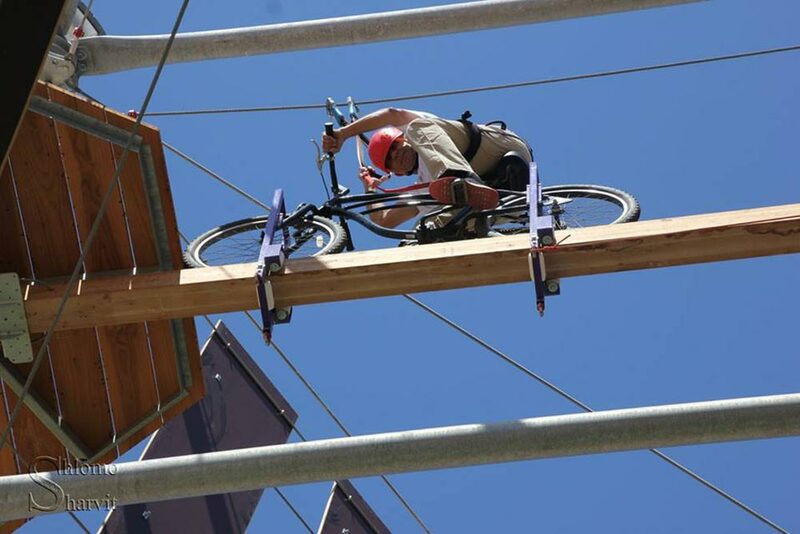 IClimb company specializes in designing, constructing and operating climbing and extreme activity constructions. 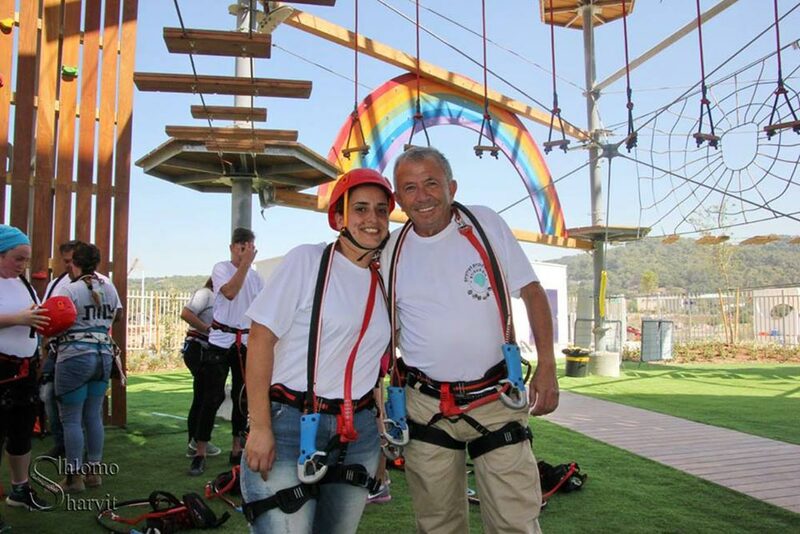 It operates several resorts in Israel: in Jerusalem, Rishon LeZion, Kfar Sava, Haogen. The guides and guards team at our resort is well trained, professional and will kindly serve you. 4-6 years old- can use the base floor only, accompanied by an adult. In addition we have for you a canteen and cafeteria, as well as toilets, at a separate building, adjacent to the activity construction. We are also equipped, prepared and are happy to host your events- birthdays, team days and friends parties. 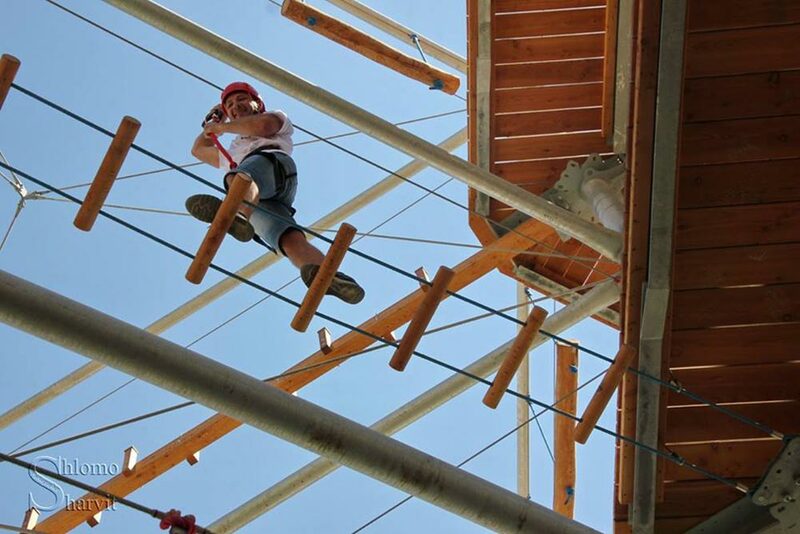 We will be happy to offer you a combination of guided activities with refreshments and/or catering. You should wear closed shoes, such as walking/running shoes. Crocs or high heel shoes are not permitted. you should strictly abide by the security rule- both those written on the boards and those given by the guides in the park.